In Europe, players started to voice their expectations for next month after concluding November deals with mostly rollovers despite initial hike attempts. Slight decreases were observed in the contract market of Northwest Europe. Approaching year-end, mounting monomer supplies as well as lower energy markets triggered softening expectations on part of most players. 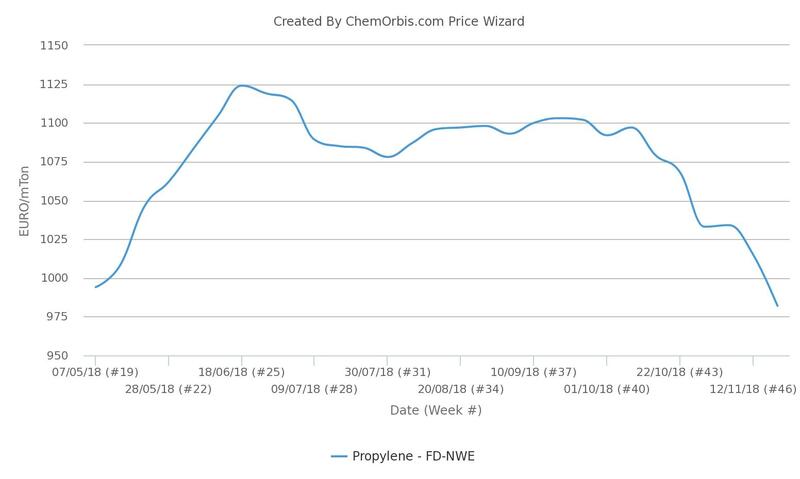 ChemOrbis Price Wizard data reveal that spot propylene prices on FD NWE basis have witnessed a cumulative decrease of €115/ton on weekly average since the downturn began in late September. Data also suggest that spot propylene prices have broken below the €1000/ton threshold for the first time since early May. Players heard about possible decreases of €10-20/ton in the December propylene contracts in line with lower naphtha costs. According to weekly average data, spot naphtha prices on CIF NWE basis have declined by around $205/ton since the beginning of October to hit their lowest level in more than a year. “Overall polyolefin demand is weak in Europe. 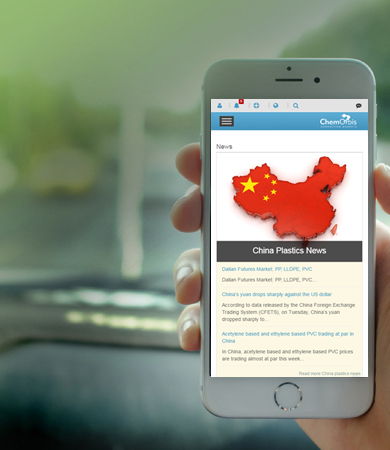 We do not expect to see a revival in buying interest in December,” a reseller in Switzerland remarked.